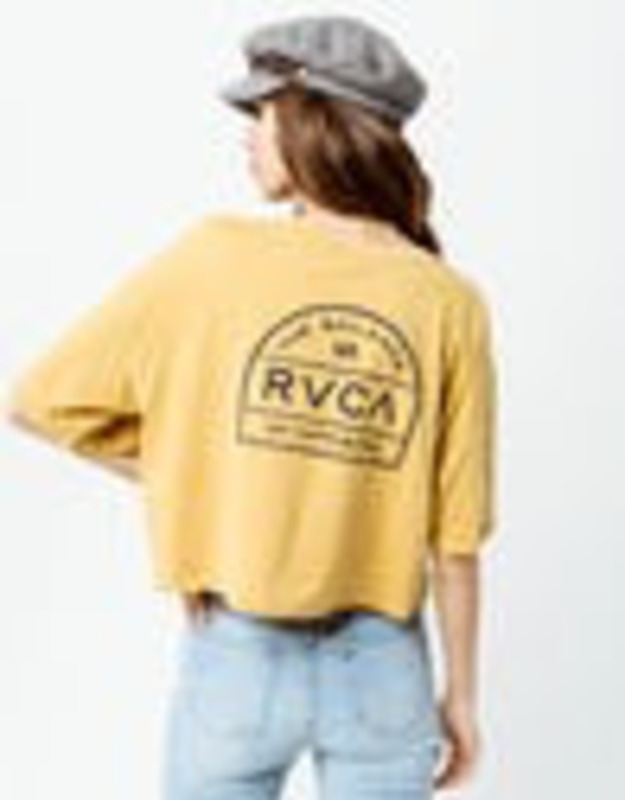 A FRESHLY CUT RETRO REMAKE, THE RVCA SPLIT CRAWL JUXTAPOSES A VINTAGE ESSENTIAL WITH ORIGINAL LOGO ARTWORK. PRINTED WITH CUSTOM ART AT THE LEFT CHEST AND CENTER BACK, THE WOMEN’S GRAPHIC T-SHIRT FEATURES AN OVERSIZED, CROPPED CUT, MATCHED WITH A PIGMENT DYE FOR A VINTAGE LOOK. AN INNER NECK LABEL MAINTAINS THE TEE’S ULTRA SOFT FEEL.